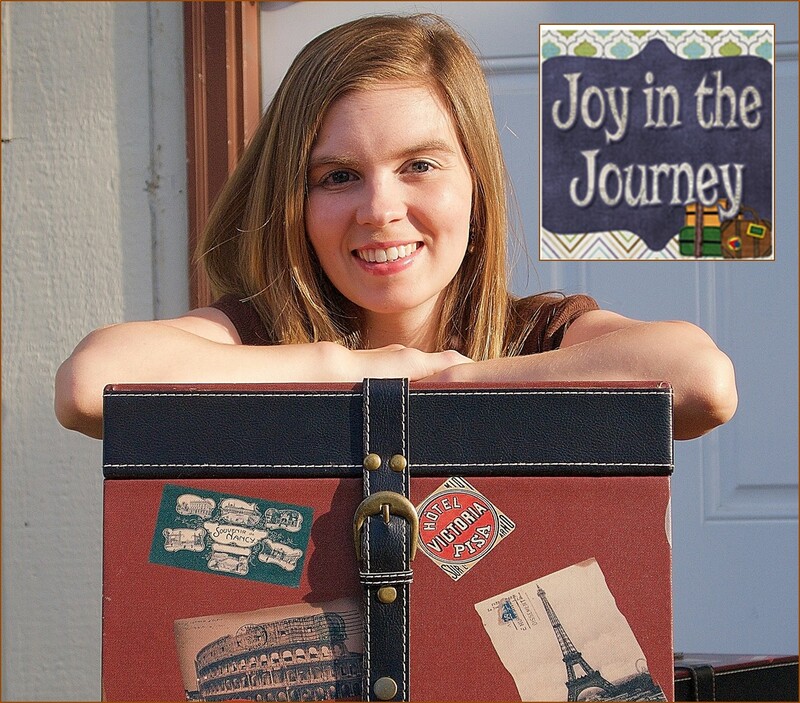 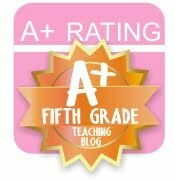 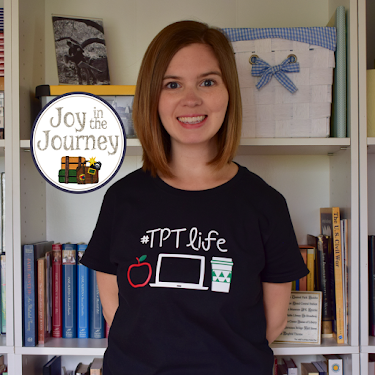 Tabitha from "Totally Sweet Math Centers" has reached an exciting milestone: 1,000 Followers on TPT! 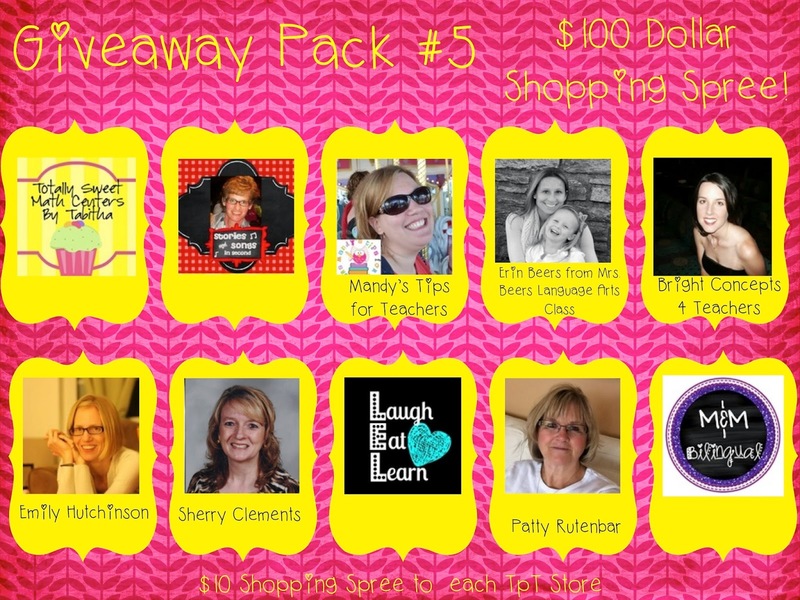 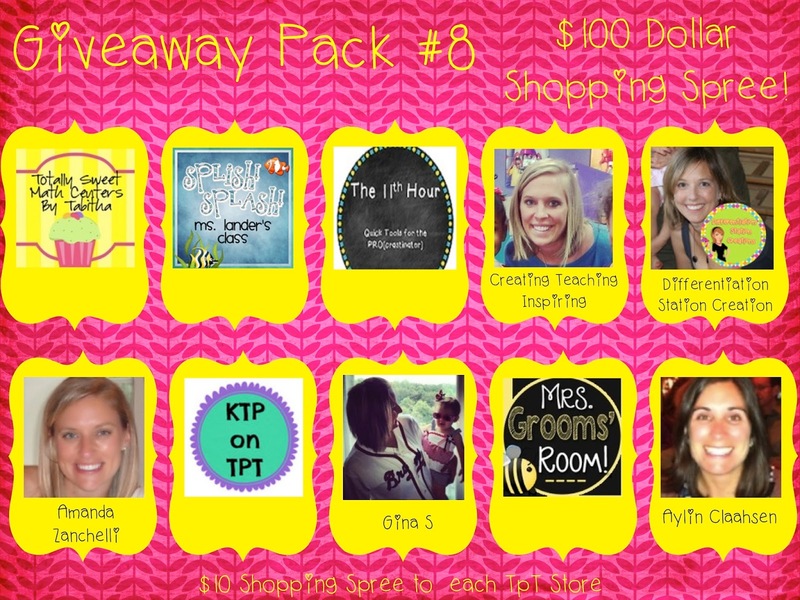 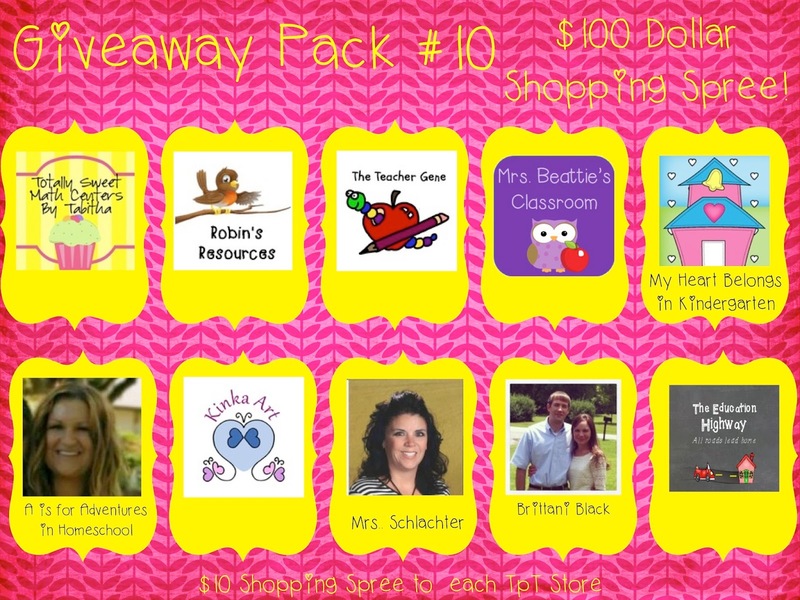 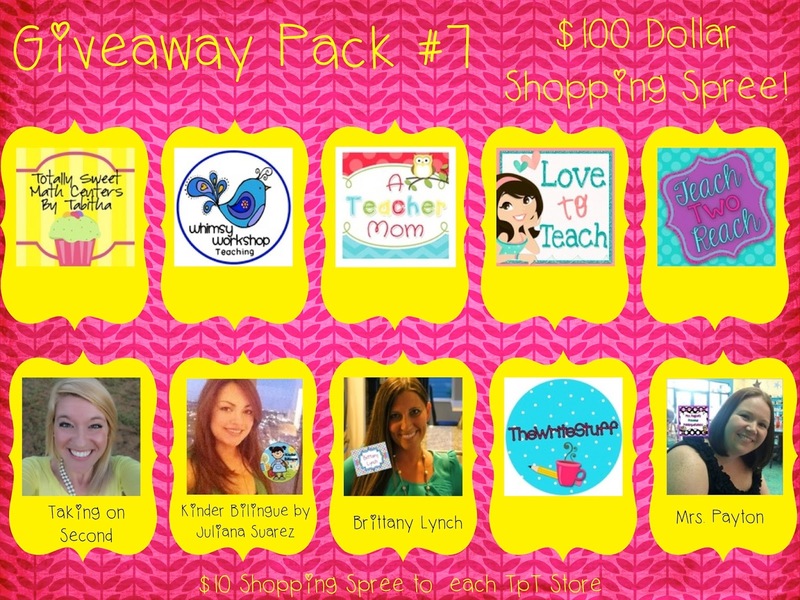 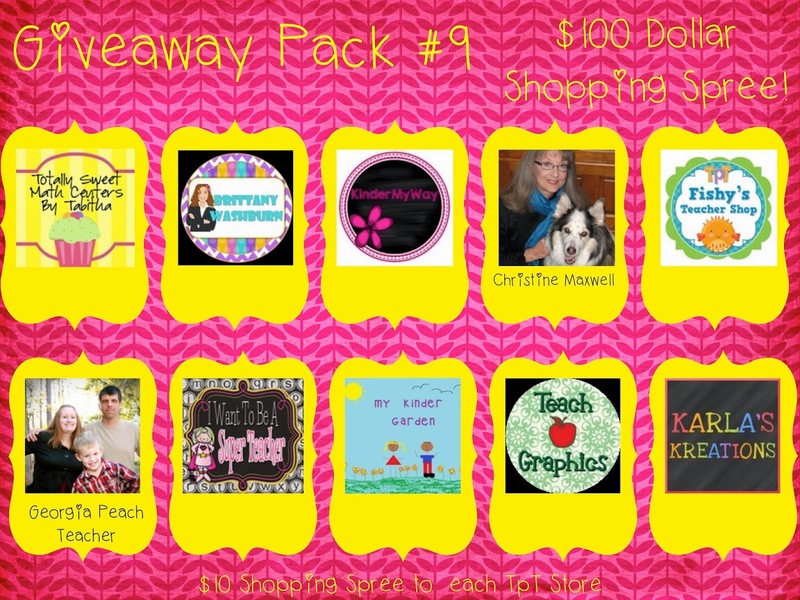 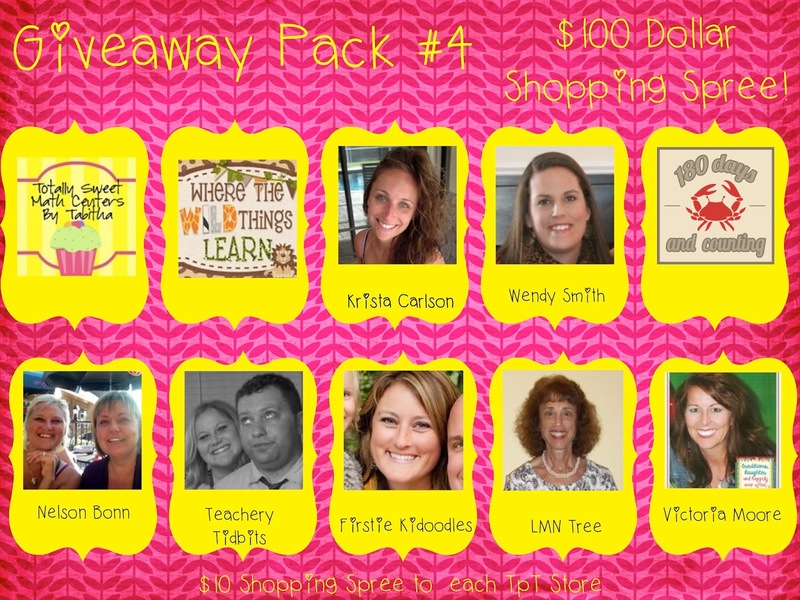 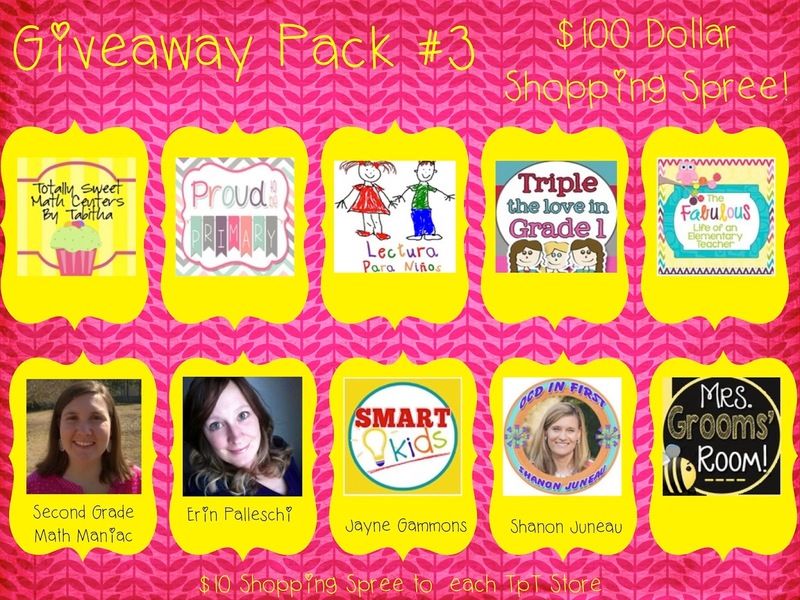 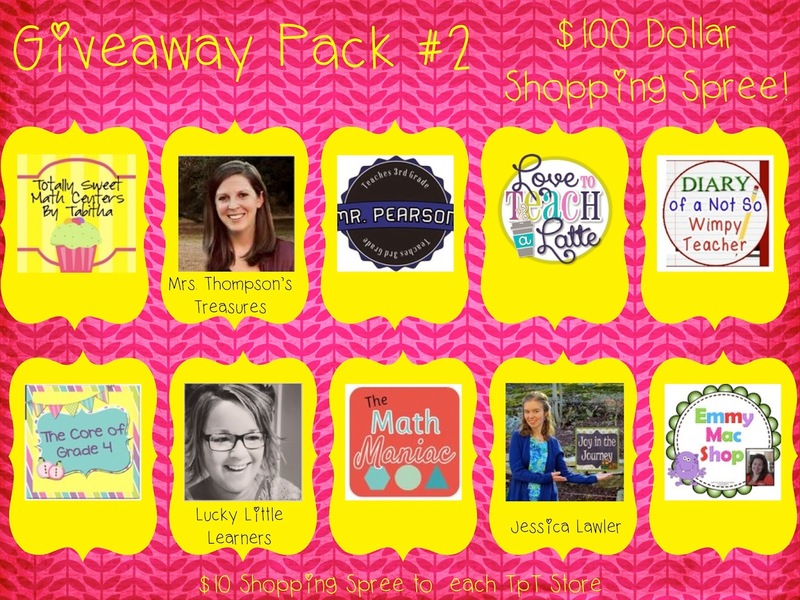 To help her celebtate, I've teamed up with the best of the best TpT sellers for what I'm sure will be an amazing giveaway! 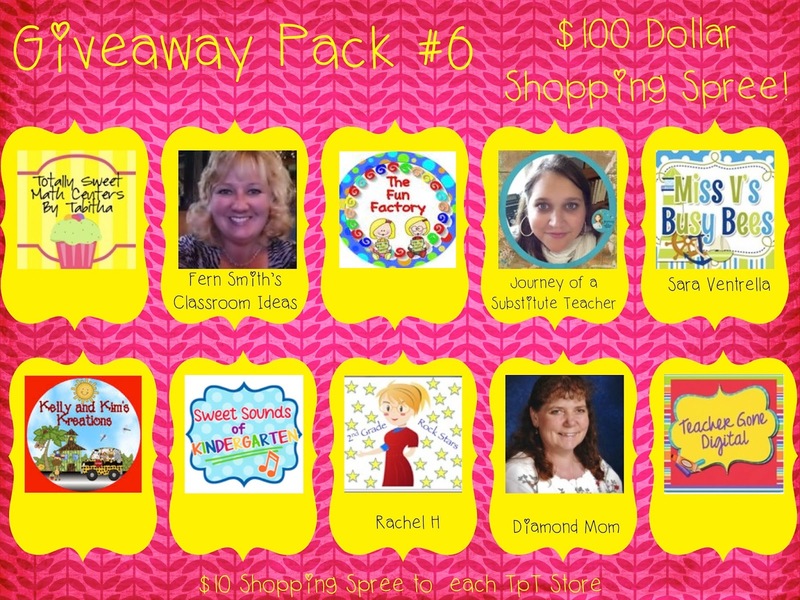 10 winners will each win one of the prize packages listed below. 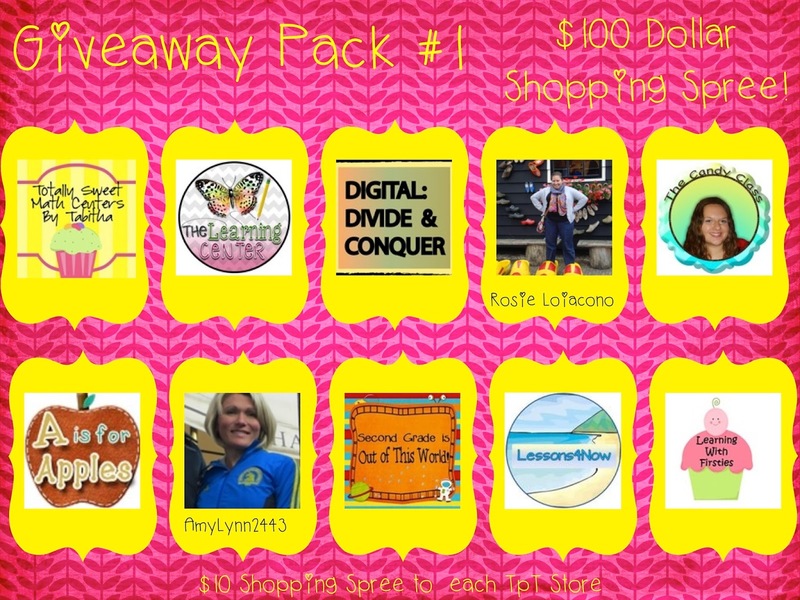 Each package contains a $10 shopping spree to 10 different stores- that a $100 shopping spree and a total of $1000 in products in all!